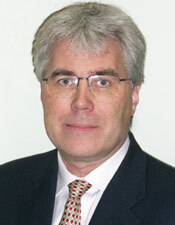 Dr. Asgeir Sigurdsson received a DDS degree from University of Iceland in 1988 and a certificate in Endodontics and MS degree from the University of North Carolina at Chapel Hill, where he was subsequently on the full-time faculty at UNC from 1992 to 2004. Currently he is in private endodontic practice in Iceland and the UK. He is an adjunct Associate Professor at UNC and Honorary Clinical Teacher in Endodontology, UCL Eastman Dental Institute, London, UK. He is the immediate past-president of the International Association of Dental Traumatology.